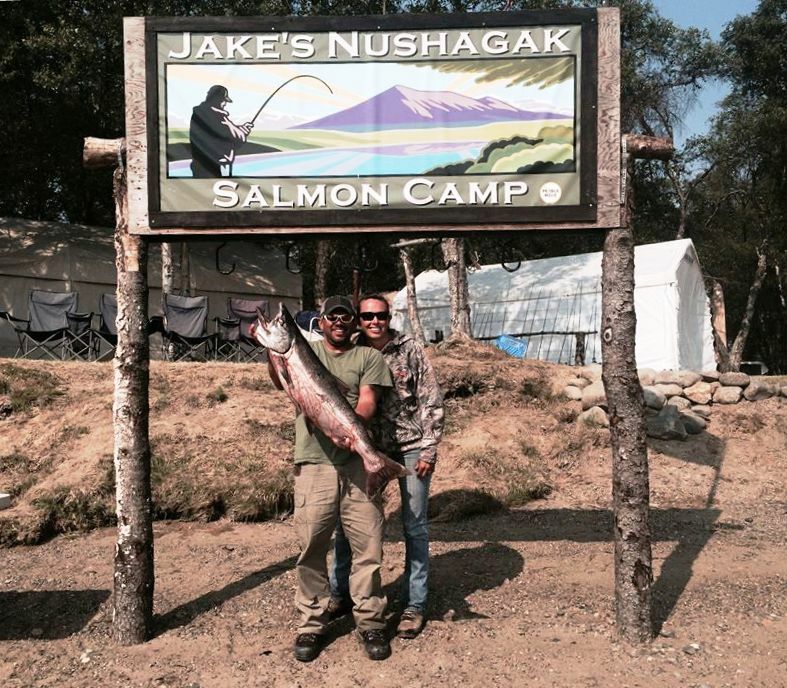 Jake’s Nushagak Salmon Camp has been featured in the movie Alaska Outdoors on the Discovery Channel, as well as Larry Csonka’s North to Alaska. Jake’s has been featured in various books and publications such as Alaska Outdoors, Western Outdoors, The Alaska Angler, North American Fisherman, Fly fishing the Great Western Rivers, and others. We are both honored to make the trip of a lifetime for you. The Nushagak River has the largest run of King Salmon in Alaska. Upwards of 300,000 and in excess of 20% of the Kings that spawn in Alaska run this watershed yearly. We also have available Chum, Pink, Sockeye, Silver Salmon and regularly catch Arctic Char and an occasional Rainbow. The first overnight Sport Fishing Camp that was permitted by the Yup’ik Eskimos, we will celebrate our 32th year in 2015. We offer 6 nights 7 day, and 4 nights 5 day, or custom length stays. We have one guest that hasn’t missed a year in 27 seasons. We are extremely excited that you are interested and look forward to the opportunity to spend time fishing with you. We have had guests from England, Ireland, Scotland, Wales, Holland, Norway, Germany, Turkey, New Zealand, Zimbabwe and South Africa, and most of the 50 states over the past few seasons. We would be honored to have you as a guest. Come join us for some tackle busting fishing and see why most of our guests return again and again.